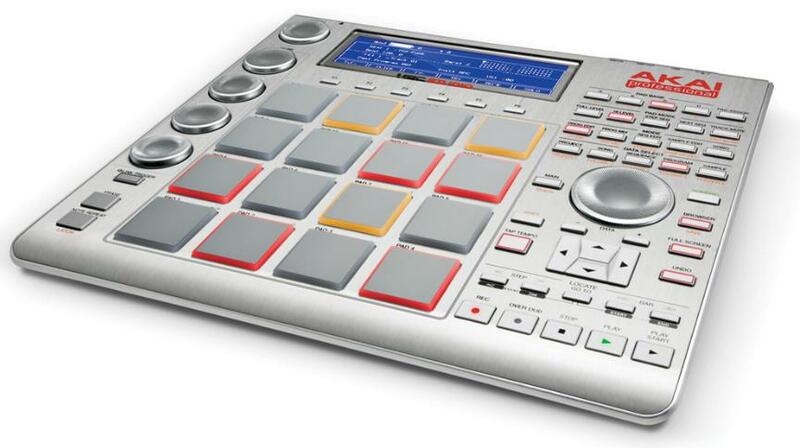 MPC Studio, PAD Controller from Akai. 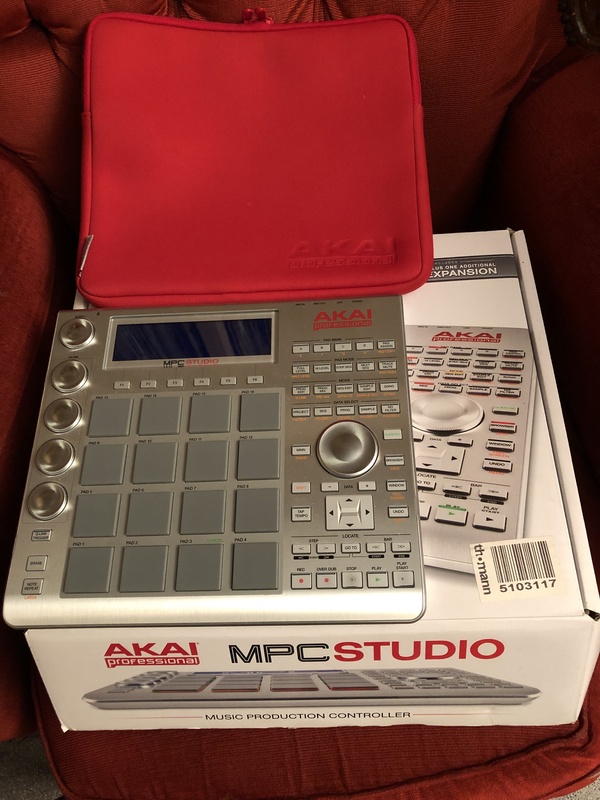 JimboSpins's review"Great, but no interface"
The Akai Professional MPC Studio is the newest line of MPC from Akai and it came out this year. I had the pleasure of working with it twice. It comes stocked with over 6GB of sounds and it supports VST plug ins. 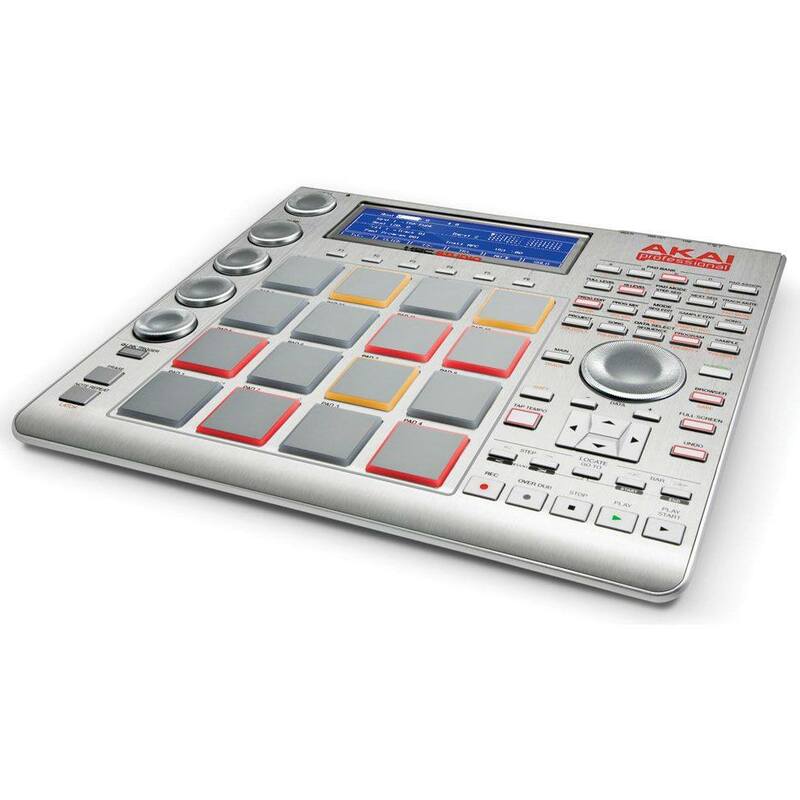 You can use the Akai Professional on a PC or Mac, it is very portable and for it to be only 600 dollars it could be the best MPC option for a lot of musicians and DJ’s. The Akai Professional can host VST plug-ins and allow you to tweak those plug –ins in real time. Of course this MPC has the world famous 16 MPC pads, and each of them are back lit. All of your favorite MPC controls including the transport controls are on this unit as well. MPC Swing, and Note Repeat are some of the patented functions of the MPC brand and they are also included on the Akai Professional Studio. The back lit screen I decent but not great, it will however let you create right from the screen without the need to have to look at the computer screen. The whole unit is very slim and can fit in one of your gig bags or backpack/laptop bags. Many people have said this MPC was a watered down version of the Renaissance, the biggest issue between the Studio version and the Renaissance version is that the Renaissance version comes with a built in interface. 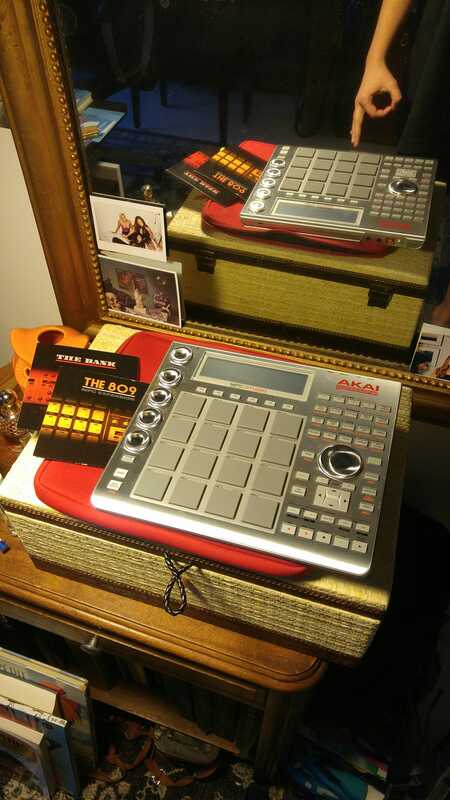 The Akai Professional Studio does not have an interface on the unit, you will need to have an external interface. 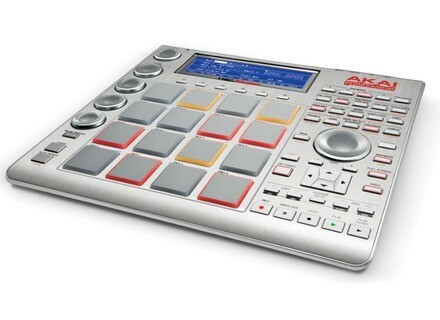 The Akai Professional MPC Studio is powered by your computer via USB. It has a 64 track sequencer and no MIDI on the actual unit. So if you already have a good interface that has MIDI then this MPC would be just as good for you as the Renaissance would, and it cost about 60 percent cheaper too! ena-n's review (This content has been automatically translated from French)" Operational"
I use it for summer 2013. Previously I was on an MPC 1000. I knew that the operation would almost see almost the same (it's still a MPC). If you were already a hardware MPC, we no longer talk but Mo Go to respect the memory space (there is the DD your computer, not a memory card to the years 2000 ...). Sometimes the software that do live this controller bug but it's still rare, updates are arranged etc ... etc ... what good atmosphere. veda95's review (This content has been automatically translated from French)" At first, blah, and soon terible!" In the end, the possibilities are much more extensive than the previous generations of mpc, cutting samples and slices are just simplicimes and fast (I love the phrase in another patch option). Aucunne latency or cracking or other, I was a little afraid of this kind of thing, but it is square no brainer. They were a result of my disappointment, because it does not meet super well, and as usual, the user has saved me, everything is settled, so, it's even better than the 2000XL, you can practice a truly nuanced playing and everything is very sensitive, fun! Sound: Obviously ç'est neutral, but delivered with emulations are really good, I love that the SP1200 and the mpc 3000, gives a good potato in a set! The MPC 1000, 2000XL and 2500. The simplicity and immediate control over his music, There are all, without being too much! The big minus, no step edit, but akai plancherait above, so good .... And the pc screen replaces this function well, although I do without him well. Just excellent, even if it is a big calculator which does not calculate, but the service provided and the pleasure we take with is really cool! riz's review (This content has been automatically translated from French)" Big difference between 500 and the mpc studio leveling range, rebirth"